Get an Overview of Different Spain Dance Styles. Dance is an integral part of traditional and contemporary life in Spain. Dance functions as an important tool for national and regional identification. Spain has produced a lot of dancers. Each dancer has a specific style of their own. 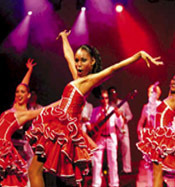 Dancers perform dances in a group, although a few top artists perform solo. Spain is the origin for various traditional dance Styles and their styles depict their culture.